Hey folks! Just a quick reminder to check out the Home Grown Food Summit. Sponsored by Marjory Wildcraft, the queen of Grow Your Own Groceries, you know it’ll be good. Lest you are anticipating a Summit that is all about gardening, let me correct your thinking – it’s not! There will be webinars on raising chickens, canning, deer hunting, aquaponics and more. With more than 30 presentations, you know they’re going to cover lots. There’s a complete list of speakers here. We’ll be there! Hope you can join us. You’ll also receive four bonus ebooks when you register. This article isn’t for everyone. Hopefully, it’s not for you. It’s about being proactive rather than reactive. It’s about not accepting life as it is, but about having a vision for a better life and doing what it takes to make it happen. I’ve titled it “Take Control of Your Life.” Sandy thinks I should have titled it “Enjoy Your Life.” She might be right. Because that’s ultimately what it’s about. My inspiration for this post has came from different sources over a number of years. It’s like I’ve been hearing variations on the same message for a long time, and they’re just now really coming together and forming a more complete picture. Inspiration #1 — Several years ago, I had the opportunity to see sales trainer and motivational speaker Zig Ziglar. If you’re not familiar with this great man and his teaching, I think you could benefit from his wisdom . Zig started his talk by asking if you could think of five things that you could start doing right now that would improve your life. No problem! I can come up with a list that’s as long as my arm — eat better, exercise regularly, learn new skills, save for retirement, spend more quality time with my wife, develop meaningful relationships with the people God puts in my path, etc., etc., etc. Each and every one of those things is well within my ability to do right now. So why am I not doing them? In some cases I’ve taken the path of least resistance. I’ve chosen to do what’s easy rather than what’s right. In other instances I’ve just fallen into a rut and mindlessly put my life on auto-pilot. Work, eat, TV, bed, repeat. Too often I operate by being reactive instead of being proactive. I don’t take the time and effort to consider if there might be a better approach that I should be taking. I’m certain that there are a huge number of other factors at work that hold me back and prevent me from taking control of my life and making it the kind of life that I really want it to be. I need to become actively aware of these things and fight against them at every turn. I need to bust out of these ruts of inactivity and take control of my life. Inspiration #2 — When Sandy and I were first married, we lived in an apartment that had a large rectangular space that served as the living room and dining room. The side wall was something like 27 feet long and was all white. The TV was against that wall in the living room area. We sat and stared at our little 19-inch TV for a couple of years before either of us noticed that the TV and the stand it sat on were the only things we had on that long expanse of white wall. It was like that on the day that we moved in and we had done nothing to change it or to make it our own. She was absolutely correct, of course, but this was just so unlike either of us. Our tendency, although never consciously thought out or expressed in any way, was that we just accept things the way they are and work around them. We play the hand that we were dealt. Sometimes there can be virtue in that approach, but in this case it was shackling us to the way things are and keeping us from enjoying the liberty of how things could be. Getting back to your original topic, prepping makes me feel secure. I can feed myself, warm my house, provide clean drinking water, and defend myself for many months, if required. For instance, I resigned from a job last week that I’ve had for 7 years and am in the job hunt process outside of the industry I’ve been in for 24 years. I would never have done that drastic move if I didn’t have months of savings and plenty of supplies on hand. I’ve got that cushion to rely on and am now aggressively pursuing new and interesting opportunities. I could have never done this had I been unprepared. Luck favors the prepared mind and yeah, I’m a bit scared and anxious, but prepping has given me the opportunity to pursue what I want to do. Dang, Snake! I want to be like you when I grow up. Snake nailed it when he talked about the freedom that prepping brings us. Because he has a storehouse of goodies, not only is he able to provide for his family if a disaster strikes, he also has the security to voluntarily leave a job that he really didn’t want anymore in order to pursue something that’s more to his liking. Is it risky? Could he burn through all his preps and be no better off at the end? It’s possible, but at his age and with his skill set it’s a manageable risk with the potential of a great return. The important thing is that he isn’t just sucking it up and sticking with something that doesn’t make him happy and riding it out until retirement. He’s leaving the old behind and making a change that will make his life be what he wants it to be. As a result of reading this article, I would like each of you to try something that you have an interest in that you’ve never done before. I want you to answer the question that Zig Ziglar asked and begin just one thing right now that will improve your life. When the poo hits the fan, most of us won’t be in a position where we can take risks. Our preps will help us through, but but we’ll be cautious about using them. Right now is the best opportunity to do it. I don’t think the world is getting any better or more secure. The time to take control of your life is now. By encouraging you to step out, take a risk, and do something new that could improve your life, I’m not issuing you a License to Be Stupid. Talk to your spouse and talk to God. Pray, listen earnestly, and if God doesn’t tell you not to, give it a shot. Snake Plisken is leveraging his preps to improve his future, not just hoarding them to subsist when the approaching day hits. He is “rearranging the furniture” of his life instead of just doing what he’s always done before. He never would have taken the plunge if he didn’t have his preps to live on while he’s pursuing his dream. Because it helps you take control of your life, prepping is a very, very good thing. I got this for Christmas from my mother-in-law. Almost 800 pages of self-reliant goodness, this fat book is a compilation of articles on topics by multiple authors, ranging from solar power to gardening to hunting to foraging to you name it. It’s all written at a very approachable level, making it perfect for prepping newbies. If you want to pursue homesteading on any level, whether on a patch of untamed wilderness or at your home in the city or suburbs, this book is a great reference that will help you on your journey to becoming more self-reliant. SHTF: A Process or an Event? The question “what are you prepping for” has just about been worn out. There is no shortage of threats in our world to be concerned about and to take steps to prepare for. Take your pick. My pet threat is economic collapse. Yours might be a nationwide power grid failure or terrorists with suitcase bombs attacking several American cities simultaneously. All of these are valid threats. I’ve joined the growing rank of people who have decided to not be caught by surprise, but rather to be as well prepared as possible if any such disaster should strike. Since you’re reading this, you’re probably in that camp, too. But one question that doesn’t get asked very often is whether the thing that you’re prepping for is an event or a process. What do I mean by that? And why would it matter? An event would be a sudden occurrence, like an earthquake on the San Andreas Fault that causes a significant part of California to go bye-bye. Or an EMP (electromagnetic pulse), either solar or nuclear, that wipes out all of our electronics. Everything is fine one moment, then in an instant it’s not. What would be the results of an SHTF event? There would be a significant loss of lives, followed by widespread shock and panic. Supplies and services would be disrupted for a long time, perhaps for a very long time. Panic buying would empty store shelves in a matter of a few days. Multitudes would be unemployed. No amount of government intervention would make a dent in the level of catastrophe affecting our world. Virtually every aspect of our lives would change from anything we had ever known before. Ready or not, everyone would be thrust into full-scale survival mode. If an SHTF event occurs, you’re stuck with what you have. If you don’t already have it, you’re not going to be able to get it. If you’ve planned to buy a good multi-fuel rocket stove , you’re too late. You won’t be able to get one anywhere now. Still working towards acquiring a top-notch first aid kit ? Kiss that plan goodbye. You’ve probably got a good supply of rice and beans and wheat on hand, but have you also stocked the spices and seasonings that you’ll need to make it taste good? That ship has sailed. There are a lot of SHTF event scenarios that have a chance of occurring in our lifetime. That’s why we prep. But the bottom line for an SHTF event is that prepping time is over and implementation time has begun. If you don’t already have it when an SHTF event occurs, you’re not likely to ever get it from that point on. The key to making it through an SHTF event is to already have the things you want and need. It’s possible that the world won’t go out with a bang (event) so much as a whimper (process). A global financial collapse may have begun 15 years ago with the tech bubble and crash of 2000. While it appears that our economy plateaus or even rallies for a short time since then, it seems to me like we’ve been on a trajectory of steady economic decline ever since 2000. The years 2001 and 2008 saw the greatest losses in stock market history. Much has been written about this 7-year cycle, with warnings of a bigger crash to come in 2015. An SHTF process wouldn’t come about suddenly like an event would. Instead, it would take years or decades to play out — a slow, steady decline. Money gets tighter gradually. There may be a series of bubbles that burst, but we ride them out. Businesses adapt by running “leaner,” squeezing more productivity out of fewer employees. Families adjust by taking fewer vacations. Many people are out of work, and those who have jobs have been cut to part-time so employers don’t have to pay for the benefits that full-time workers get. First and second-world countries start looking more and more like third-world countries. We find ourselves like a frog in a beaker of water on a bunsen burner. The heat gets turned up so gradually that the frog doesn’t react to the changes — and then he finds himself thoroughly cooked. Unlike an event, an SHTF process could give you years and years of opportunity to stockpile the things you want and need. That’s the good news. The bad news is that if (when) you find yourself out of work, instead of adding to your supplies, you start tapping into your preps to get by until the next job comes along. But it doesn’t. And what you can’t eat you sell in order to get money to meet your family’s needs. An SHTF process is not a pretty picture. Slow death never is. Yes, you are better equipped to deal with the problem than those who don’t prep, but it just delays the inevitable. So what is the key to surviving an SHTF process? Sustainability. You will need self-reliance skills, the kind of mojo that the pioneers had 150 years ago. Do you know how to grow and preserve food? Raise animals? Use and repair tools? Prepping isn’t just about storing stuff. The best preppers would say that it isn’t even primarily about stuff. It’s about skills. Of course, your guess is as good as mine. Sandy and I lean toward process but we are strongly aware that it could be an event and that event could occur tomorrow. We don’t let that worry us. Rather, we do what we can while trusting the Lord for what we can’t. At the beginning of each year we look at where we are, re-consider where we want to be and set priorities for the year. Yep, that’s what we’ll be doing in the coming week. Comment below or on Facebook to let us know whether you think SHTF will be an event or a process. I apologize for this posting being such a buzz kill. I hope you all have an exceedingly blessed, healthy, happy, and prosperous New Year, and that next year finds you in a better place than you are right now. This week, Americans have been indulging in the annual food extravaganza known as the national day of Thanksgiving. People have been baking pies, roasting turkeys, and stuffing themselves with stuffing. We took part in the festivities, too, but in the couple of weeks leading up to Thanksgiving Day we’ve been eating our own dog food. Not literally, I’m happy to say. “Eating your own dog food” is a slang expression that means personally using the same products and practices that you recommend to others. If we don’t do what we encourage others to do, why should anyone? In our case, we’ve been preparing meals using long-term storage survival food from a one-month kit that we bought from Augason Farms. We don’t want to give you the impression that we’ve been living on survival food exclusively. Far from it. (You can read our introduction to this experiment here.) But we thought it wise to sample a variety of long shelf life food and learn how to cook it and make meals with it before we found ourselves in a situation where we absolutely had to use it to survive. How is it different from what we normally eat? How easy is it to prepare? Could we really live on a steady diet of this stuff? What would we miss from our regular diet? The one-month food kit that we were working from is largely a collection of ingredients that you combine to make recipes, rather than pouches or cans of just-add-water freeze dried entrées. We own and have tried some of the ready-made entrées. They’re quick and easy to prepare, and are quite tasty. They’re also relatively expensive, so we gravitated toward the much more affordable ingredients approach. Most of the ingredients are dehydrated, but some were the more expensive freeze dried varieties. Besides, if you buy a freeze dried beef stew entrée, what can you make with it? (This isn’t a trick question.) The answer is “beef stew.” But if you have all the ingredients you need for beef stew, you can use them to make beef stew or many other dishes. Consider Taco Bell. They’ve built a fast-food empire by coming up with different combinations and preparations for about six basic ingredients. We should note here that one category of food that is glaringly missing from our list is desserts. We haven’t sampled any of the desserts or drinks yet. The pictures of milkshakes on the box look delicious. How do they taste? We don’t know yet. That’s a very personal question and your answer will undoubtedly be different from mine, but my answer is that it’s not drastically different from what I normally eat. Providing familiar foods that people already eat and enjoy is one of the major goals of a long-term storage food vendor. In this regard, Augason Farms was on the money. Dehydrated foods are a part of the dining landscape more than we realize. 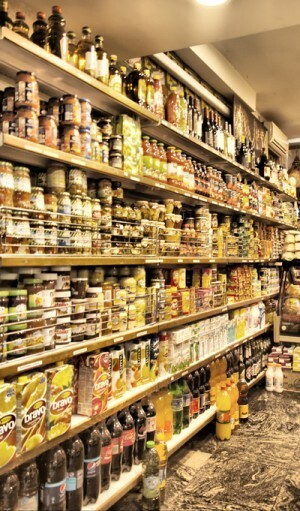 Grocery stores sell a lot of products that include dehydrated or freeze dried ingredients. 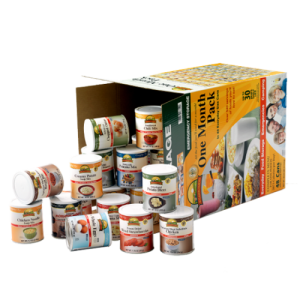 The quality of these kinds of products has increased a lot over the years, and these are the same kinds of foods that come in the cans of long shelf life survival foods. One major difference from my normal diet is that survival food won’t provide large portions of meat, fish, or poultry. No thick, juicy cheeseburger. No platter of fried chicken. No big honking slice of ham. I grew up in an age when kids heard a lot (at least from our parents at the dinner table) about the people starving in China. Real oriental food (not the Americanized stuff we get at carry-out restaurants) traditionally used proteins sparingly to flavor a dish, almost as a condiment. Rice or noodles and veggies were always the bulk of a dish. You’ll need to adopt that kind of mindset when you use your survival food. Having said that the foods are familiar and tasty, I’d like to add here that many of them are much higher in sodium than I am accustomed to, especially the soups, which are a staple in the survival menu. That’s bad news for anyone on a reduced-sodium diet. The good news is that the soups are flavorful enough that you can use them as a topping for potatoes, rice, or noodles. This practice will stretch your food budget while cutting back on your salt intake. Of course you can also modify a recipe by leaving out things that you don’t like. Augason Farms’ recipe for Scrambled Egg with Bacon Bits included adding dehydrated chopped onions. We obediently followed the recipe, even though we don’t normally put onions in our eggs. We were open to trying something new, but the result was that the eggs were pretty strongly oniony. I was OK with the novelty of it, but Sandy didn’t like it at all. It wasn’t just the oniony-ness of the eggs, that Sandy didn’t like, though. She found the powdered eggs less than desirable in general. She’ll eat them in an emergency, but she won’t be pulling them out to make a meal when we’re out of eggs. One of the questions we asked as we ate each meal was “would we serve this to guests?” In many cases the answer was “yes.” The creamy corn and potato chowder or broccoli cheese soup would be totally fine to serve to guests on a “come on over for soup and sandwich” night. Having friends over for breakfast? The pancakes would be fine, as would the creamy wheat cereal. The cereal is especially good with some raisins or other fruit thrown in. Of course, be sure to stock cinnamon because your cereal will come alive with some cinnamon. The biscuits were good, but the texture was a little off. We want to experiment with them a bit more before we serve them to friends. Having said that, we’re thinking a “Prepper Food Tasting Party” might be a great way to introduce some of our friends to the prepper lifestyle. Most of it is just add water, simmer, and stir. Sandy, who does very little of the cooking in our house because she truly hates it did most of the cooking during our experiment. So I’m seeing a real benefit to adding some prepper food to our diet on a regular basis! The Chicken Noodle Vegetable Casserole was more involved. You simmer some ingredients for 20 minutes, then combine others and bake it for 15 minutes. The result was a real casserole-style dish, but for a survival situation it was too energy intensive. I don’t want something that I have to both sauté and bake. Too much heating. One or the other, please. Still, having the capability provides nice variety. Maybe we’ll splurge on energy usage for a special occasion! It has suitable nutrition and caloric content to sustain life. It tastes OK — sometimes better than just OK. We’ve become spoiled by abundance and variety. Of course we could live on it. Sandy and I have been broke many times in the course of our 36-year marriage. Going broke is a good thing, if you know the secret of being content in any and every situation. It develops an appreciation and a gratefulness for the simplest of pleasures, the most basic of necessities. None of these are guaranteed in life. Entitlements are a man-made fiction. Can we live on a steady diet of long-term storage survival food? It might not be our first choice, but when it becomes our only choice I suspect that we will be quite happy to have it. My mother (who would have celebrated her 100th birthday this month if she were still on this earth) grew up dirt poor in the hills of central Tennessee. She told me that her favorite Christmas gift every year was an orange that she would get in her stocking. Not a pony. Not an iPad. Not a trip to Paris. An orange. In a prolonged period of austerity, there are things that each of us will miss. We each need to give this matter some serious thought and plan accordingly. We might only be able to get fresh fruits and vegetables when they’re in season locally, which is a major change from what we’re accustomed to now. Learning to can and store those items would be helpful. We’ve also mentioned that large portions of meat might become a thing of the past. Those can also be canned. A lot of people store bulk quantities of wheat, but are they also storing baking powder, baking soda, sugar, salt, and all of those other “minor” ingredients that we take for granted? Sandy and I consider our experiment of “eating our own dog food” to be a success, but only a preliminary success. We’re going to make this an on-going part of our preparations. We will continue to learn to cook with food storage items and practice cooking on camp stoves and rocket stoves and maybe a solar oven. Food preparedness is about more than just hoarding. It’s also about knowing how to use what you’ve stored. Of all the articles that we’ve written, the one that is the most enduring favorite of our readers has been Grocery Store Prepping. It only makes sense. Most people make two or more trips to the grocery store every week. If the grocery store sells the stuff that we need and use the most, we should probably be thinking of it as our first resource for beginner preps. Once we get the basics covered, we can venture to a wilderness outdoor equipment store for the more exotic preps. Besides grocery stores, there are other vendors in our neighborhoods that can also serve up some pretty good preps, and many of them at discounted prices. Today we’re going to focus our attention on dollar store prepping, but don’t ignore other options such as Goodwill or resale shops and the good old yard sale. We are blessed to live in a rural area that is well serviced by a number of the large chain dollar stores, such as Dollar General, Family Dollar, and Dollar Tree. These stores have become our go-to places for certain items that we regularly use, and we’ve discovered that dollar store prepping can be a thrifty prepper’s best resource. These stores tend to be cut-rate general stores that stock a lot of what you need to get you through routine emergencies, such as a power outage or storm. The impetus for this article was a one-day sale we found at our local Dollar Tree store that’s happening tomorrow. While you can save money prepping at Dollar Tree or any of the dollar stores any day of the week, you can save more money (or buy more preps for the same money) on Sunday, November 23 (2014). It’s Customer Appreciation Day at Dollar Tree and they are offering 10% off all purchases that total more than $10. That makes every item you would normally purchase for a dollar only…wait for it… 90 cents! (Yep, we can do basic math here at The Approaching Day Prepper.) To get the 10% discount, you need to print this voucher from their website and present it to the cashier. We’ve found that the products sold at Dollar Tree are often off-brand, but off-brand doesn’t always mean inferior. Sometimes you’ll find a product by a little unknown brand that beats what you’ve been paying much more for elsewhere. Be adventurous! What the heck — it’s just a buck. But don’t be a careless shopper. Take a minute or two to read labels, making sure you’re getting what you expect. Packaging can be deceiving, so read the label to determine how many feet, ounces, or items you’re getting for your buck. Check expiration dates as well. Bins & baskets – You’ll find a wide variety of sizes and types. You may not have an immediate use for them, but you’ll sure find one soon. Baggies – It’s always good to have a supply of baggies in various sizes – sandwich, freezer, snack, etc. Plastic wrap, aluminum foil – Watch package sizes to be sure you’re getting a good deal. 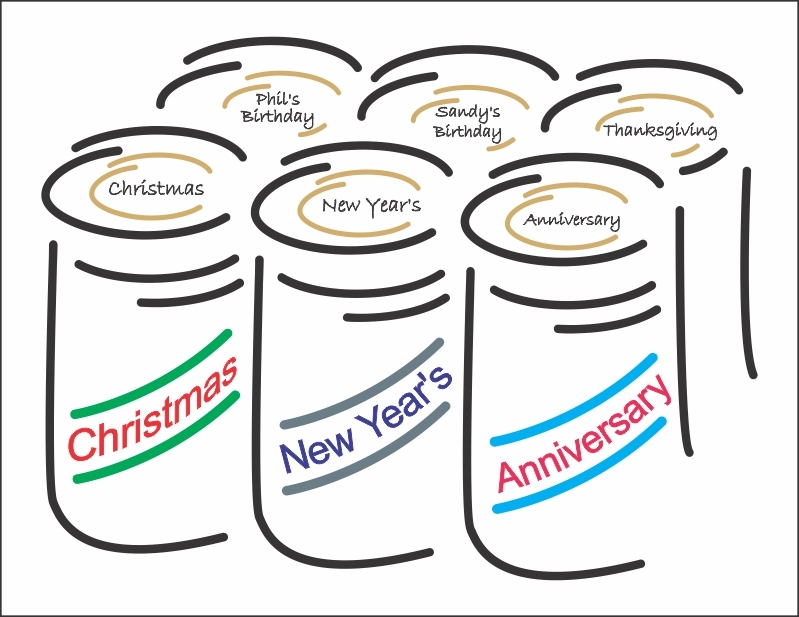 Canned vegetables – Watch for expiration dates. If the dates are soon, perhaps you can use them immediately in lieu of pulling from your pantry. You’re extending the life of your pantry which is, in effect, extending your food storage. Boxed foods (or as we call them, “cardboard food”) – Brands may not be those you’re accustomed to, but you can find some interesting items to try, including some imported items that you’ll never find in your grocery store. Canned meats – We list these separately because many people forget about canned meats. They’re great prepper food. Think tuna, chicken, sardines, Vienna sausages, etc. Candies – This is often an overlooked item in prepping, but let’s plan for a life with treats! Cords, twine, rope, clothes line — I can guarantee you that in a longer-term emergency you or someone close to you won’t begin to have enough of this stuff on hand. Tarps, ponchos, vinyl table cloths, and shower curtains – Anything that you can use to keep things covered and dry outside. Pick up that extra can opener you should have. Look for utensils that can be used in outdoor cooking. Look for small items that can be put in your bug-out bag. Baking tins for making your own cleaning products. I make some of my own cleaning and health products. They often require pans and utensils and I don’t want to use the same as those I use for baking. Cupcake pans, small loaf pans and cookie sheets all come in handy. Grater – Both for food prep (you may not be able to use your electric food processor) and for making cleaning products. Wooden spoons – Can you ever have enough? Towels & rags – I recently bought four good quality dish towels to replace the towels I put on my counter under my tea station and by our plant area. The old ones are permanently stained. I figured I could spend $4 to quit looking at the stains. If I had waited for this 10% off sale, I could have gotten them for $3.60. I might go buy more! Latex gloves – Both disposable and longer-use gloves. Holiday Items & Decorations – While not a prepper item, per se, I think it’s important to remember to plan for the fun events in life when setting aside items for a time when life is less comfortable than we know it. Five years later, Sarah has sold or donated more than 700,000 Wonderbags throughout Africa. The Wonderbag is now available in the U.S. , through Amazon, and Sarah’s new goal is to sell one million to people worldwide. For every bag sold, one is donated to a family in need. “I chose Amazon because I loved the idea of combining the oldest technology in the world with the most high-tech, efficient, environmentally-friendly way of doing your shopping,” says Sarah. This is a prepper story. I wasn’t aware of the rolling blackout problems that this story talks about, but I wouldn’t be surprised if they occurred in America eventually. As flaky as our crumbling infrastructure is, the most vulnerable element seems to be our aging power grid. Prepping is about more than just storing beans, bullets, and band-aids for a potential future emergency. It’s also about making changes to our lifestyle now, before anything happens, to better train and equip ourselves to deal with hardship when it comes. One huge aspect of that lifestyle change is learning to make do with less. The less you use, the less you need. The slogan “Reduce – Reuse – Recycle” is beginning to resonate with me. A great place to start is to find ways in which you can meet your needs while using less energy. Sarah found a way to use less fuel energy by cooking in a Wonderbag. The Wonderbag isn’t a new idea. Sarah plainly says as much in the article. She watched her grandmother bundle blankets and cushions around a hot pot of stew to keep it cooking. She got this brainstorm for a new product that was actually a very old idea. “Old school” techniques and technology rock, especially in a prepper situation. Keep your eyes peeled for information on how people got by in the pioneer days or during the Great Depression. It might be helpful someday. And look for ways to update some of these old ways. You might be able to put a new spin on an old technology and have a life-changing impact on many people like Sarah did. Because this is “the oldest technology in the world” and Sarah’s grandmother was able to accomplish the same thing with blankets and cushions, you don’t have to buy a Wonderbag to cook your meals. Use your own blankets, or dig a hole in the ground and put your pot in it. Sarah’s new-fangled Wonderbag may work better than those approaches, or it may not. I don’t know. Clearly, more research is called for. (Perhaps I should apply for a government grant.) The answer to your problem isn’t always to spend more money or to buy a new product. Sometimes you just need to use what God has already put in your hand in a new and different way. At the a selling price of $56.57 (as of the time of this writing), the Wonderbag is over-priced. Intentionally. For every one you buy, they give one to a needy person or family in Africa. You can’t buy one for a lower price and not have one go to Africa. They don’t give you that option. If that bugs you, you can always try making your own or try the digging-a-hole-in-your-backyard approach. If their forced philanthropy appeals to you (as I’m certain it does to many), you can buy two Wonderbags. Keep one for yourself and give the second one to the person of your choice. (I strongly believe that prepping is about sharing, but I very strongly believe that I should be the one who gets to decide who I share my stuff with.) And you can feel good about blessing two families in Africa. If the Wonderbag works as well as the reviews suggest (out of 237 customer reviews on Amazon, 166 of them are 5-stars), it’s selling price of $56.57 is a bargain. When I read the article, my mind instantly went to a group of contemporary products that do the same thing. They’re called thermal cookers, and they use the exact same principle — bring your food to a simmer and then transfer it to a thermal-retention unit. It continues to slow-cook on residual heat for hours. The one I’ve seen the most positive comments about on other prepper sites is Saratoga Jack’s thermal cooker . People rave about it, but at $110 plus $13.50 in shipping it makes the Wonderbag look like a bargain. And Saratoga Jack’s isn’t the most expensive such product by a long shot. Zojirushi (whose products I hold in high regard) sells one for $194.65, which makes the highly-rated Wonderbag looking down-right cheap by comparison. The bottom line is that necessity is the mother of invention. Plato said that, a very long time ago, and it still holds true today. Whether you buy a Wonderbag or try to cook stew in your sleeping bag, we need to get creative about using less and making due with what we have. It will save money in the short-run, which could enable you to buy more stuff that you need in the long-run. Most of our friends haven’t bought into this prepping thing. Phil and I have discussed the objections people have to prepping and have found that they break down into a few basic categories. We thought we’d share them with you along with our responses. My response: Neither do I. But I look at the world and I see a very fragile place. There are so many things that could go wrong – wars, natural disasters, economic uncertainty, nasty diseases… the list could go on. These are all plausible things that could directly impact my life. When I consider those things, it only makes sense to me to prepare for the eventuality that something will go haywire at some time in my life. Phil boiled it down to a single reason in this blog: Why Bother to Prep? For a bit more detail on the kinds of things that some people are prepping for, check out this blog: What Kind of Event Are You Prepping For? Objection #2 – Sacred Version: I trust God to take care of me. The Bible promises that He will provide for all my needs. Why should I prep? My response: I trust God to take care of me, too. However, the Bible also says that if we’ve been warned about something, we’re responsible to take action. I can’t do everything one might need to do to be prepared for every potential emergency. I trust God to cover those things. He will provide for my needs. But prepping is not a whole lot different from buying house or car insurance. I trust God, but I also spend a lot of money on insurance for my car, home, and health. Through the money I spend on prepping, I am preparing to improve my circumstances in a future that might be very different from my present. Beyond that, though, is a much greater reason for being a prepper. I am prepping so that I can show God’s love to those around me during times of upheaval and stress. Because I’ve bought extra food and extra Bibles, I can share tangible support and spiritual comfort with others. God uses His Church to bless others. I want to be a vehicle for God’s blessings to others. If you aren’t able to meet your own needs, you can’t be in a position to help others. Objection #2 – Secular Version: I trust the government to take care of me. They won’t let anything bad happen, or if it does, they will fix it quickly and take care of me in the meantime. My response: I’ll go against the grain of many other preppers here and say that I believe that our government has our best interests at heart. At least, I believe that their intentions are good. But there are two major problems with this. First, the government’s vision of “my best interests” doesn’t always line up very well with mine. The government increasingly wants to take by force of law from those who have earned and saved, and give it to those who haven’t earned or haven’t saved. Obviously, from my answer to the “sacred” version of this objection, I want to do this, too. But I want to be the one who gets to decide how, when, and where my stuff gets distributed, and who it goes to. I trust myself to do this more efficiently and effectively than the government. Second, the government increasingly wants to disarm its citizens. More good intentions, but with disastrous results. Every person has the God-given right to defend themselves (see this excellent article). Too often, the good intentions of government produce the exact opposite results. When things get bad, I want to be able to defend myself, not wait for a cop to show up. When things get really bad, the cops won’t be able to get to you anytime soon. First, remember that any prepping you do is better than no prepping. Don’t feel like you have to go all out or it’s not worth it. If I had that perspective, I’d be in tears most of the time. There are so many areas to prep in and we sure don’t have enough hours in the day or money in our pockets to be as prepared as we’d like to be. But I know two things: Doing something is better than doing nothing, and God is faithful. I trust Him to cover what I can’t do. Prepping is about more than spending money. I appreciate that finances are quite lean for many people – being self-employed, our income fluctuates significantly. Or as Phil puts it, we go flat broke every couple of years. During our “broke” years, we spend more time learning and practicing than buying. During our “not so broke” years, we do more buying and storing. The things we buy and store help get us through the lean times. We’re prepped for it. You can do many prepping things that cost little or nothing. Learning to consume less and make the most of what you have is prime prepper training. A lot of prepping can be done for not nearly as much money as you think. Every week at the grocery store, buy two or three of something that you would typically buy one of. Store the extras away from your “every day” supplies so that they don’t get used immediately. Those extra purchases won’t add much to your total bill, but you’ll slowly begin to develop a “convenience store” in your own home. When items go on sale, buy five or six of them instead of two or three. If a disaster strikes six months from now you may not have a month’s worth of food, but you’ll have enough for several days, and several days is better than no days. Several days buys you a little time to figure out what’s next. It reduces your stress in a stressful situation. Those are good things. Add prepping to your budget. Find ways to save money for prepping. Prepping is like saving. You save a little each month and it adds up. You save first and budget around it. Phil and I sometimes make a game out of saving for prepping. What can we do (or not do) this week to save money? That saved money goes in the prepper money jar. Objection #4: I don’t have time for prepping! My response: I feel your pain. But you gotta make time. As with money, start small, but start. Making a decision to be a prepper is the place to start, then develop a plan – a written plan – of what you want to buy, learn, and do. I’ve said it many times, but it bears repeating here — we haven’t done nearly as many things as we’d like to, but because we’ve made the decision to be preppers, we’ve done a lot more than we would have otherwise. And everything you do puts you ahead of the game. Objection #5: There’s too much to do. I’m too overwhelmed by it all, so I do nothing. My response: Noooo! Don’t let the overwhelmed monster get to you! Seriously, I totally understand. Phil became interested in prepping first. (Speaking more truthfully, I would say that Phil felt God’s prompting to seriously step into prepping.) One day he told me there was something he wanted to talk to me about. We sat at our dining room table and he started talking. I quickly agreed with him about the need to prepare for a future that could look very different, but I’m a practical person. “So what do we do?” I asked. He started talking and I started outlining. I’m a planner by nature so outlining things to do helped me get my arms around it. But we had only started our discussion on things to do when I became quite overwhelmed and fearful. That was our signal to end the conversation. We prayed and set the discussion aside for a day or two. Then I was able to come back to it without being afraid or overwhelmed. Start in one area – water or food. Look for blogs on that subject. We gear The Approaching Day Prepper toward beginning preppers (because we still consider ourselves beginners). Our Getting Started blog links you to many of our beginner blogs. Or check out other blogs listed on our “How to Begin” page. My response: This is a tough one, but not something that can’t be overcome. I would start by going back to Objection #3 and using the approach of buying multiples of food and household products that you use on a regular basis when you see them on sale. Food prices are escalating. Stocking up on stuff that you already use when it goes on sale is something that even an anti-prepper can see the wisdom in. Use opportunities to show your spouse how nice it was to have something that you needed on hand. For example, it’s a holiday and all the grocery stores are closed. Wasn’t it good that we had an extra jar of pasta sauce in our home “convenience store”? Find things that plug into your spouse’s interests and encourage them to accumulate more things along those lines that could be useful in prepping. For a non-prepping wife, it could be food or sewing or some hobby that could be adapted for prepping. For husbands it could be tools or building supplies or sports equipment that might have a prepping value. Prepping is rarely convenient. Even if you’re on fully board with it, there will be times when you have objections of your own for doing what needs to be done. Keep your focus, lead a balanced life, ask God for wisdom, and do something. It doesn’t have to be a big thing, but do something that will make you better prepared than you were yesterday. You can’t steer a parked car.